Sports Physio involves the treatment, rehabilitation and further prevention of injuries sustained during sports and recreational activities. The management of sports injuries involves the sports physio having a strong understanding of injury along with the physical demands of their sport and the athlete’s short and long term goals. Our physios work with the individual athlete to understand these demands and formulate a management plan to ensure they successfully return to sport at their peak performance level with reduced risk of further injury. 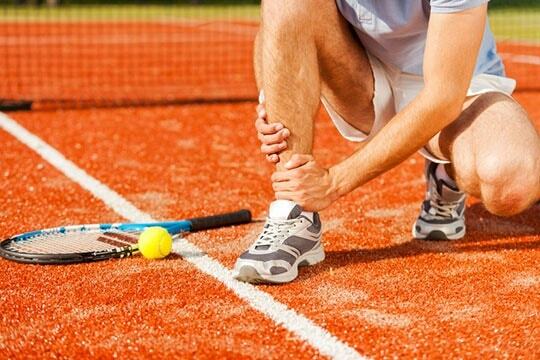 Early intervention is the key to getting the best results after an acute sporting injury. Injury specific treatment and rehabilitation involves relieving pain and restoring the function of the injured tissue. It typically involves a hands on approach with treatment techniques such as soft tissue techniques, joint mobilisation / manipulation, acupuncture / dry needling utilised. The athlete will also be provided with a structured exercise program aimed at facilitating recovery of the injured area. This is an area that is often missed in the management of sports injuries. Too often an athlete recovers from the initial injury and returns to competition only to perform poorly or become injured again. This is where sports specific conditioning is critical to rebuild physical loads on the whole body, not just the injury site, back to pre-injury levels. Our Physios will work with the athlete and their coaches/trainers to develop a graduated sport specific conditioning program to ensure a smooth transition back into sport. One of the benefits of being injured is that it provides time to look at how the body has been functioning and look at reducing any inefficiencies that may be affecting performance. Our physio’s can perform sport specific screening assessments and then implement strategies to correct/reduce these inefficiencies as part of your rehabilitation and ongoing management plan.